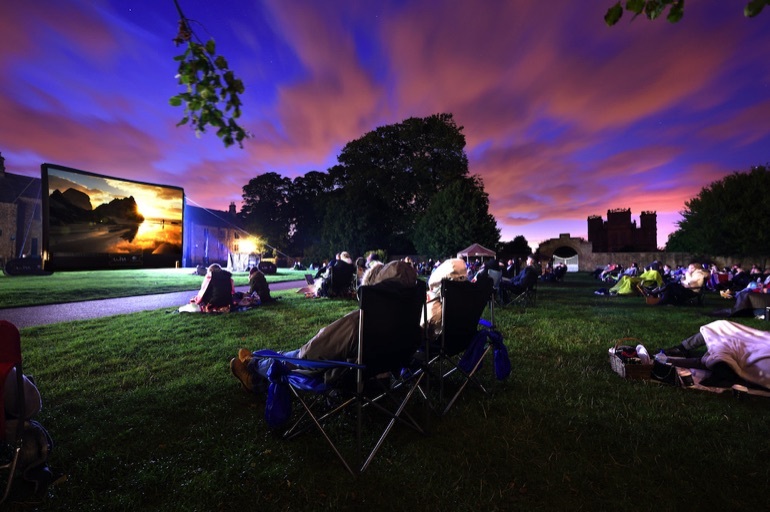 Enjoy summer outdoor entertainment, from big-screen cinema to theatre and music performances, set in colourful gardens and parkland. Make the most of the balmy summer weather and extra hours of daylight to enjoy alfresco entertainment at National Trust locations. 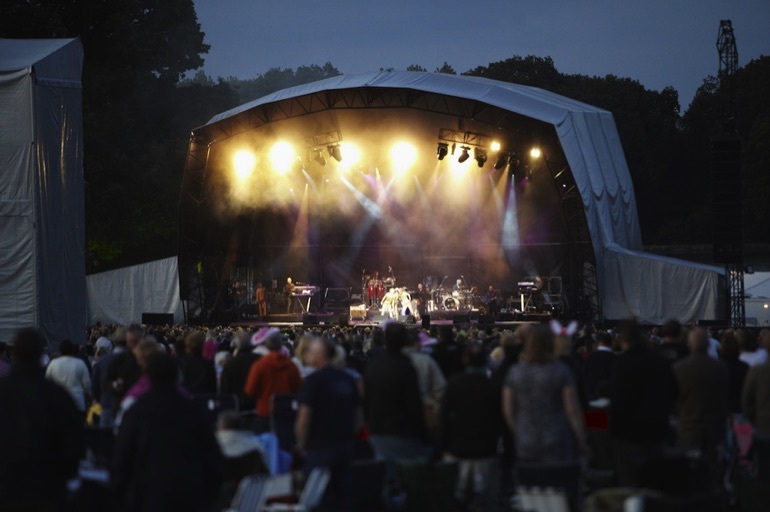 Pack up a picnic hamper and bring along your family and friends – from comedies and family-friendly performances to jazz and classical concerts, there's something to suit all tastes. Just pick your patch of grass, sit back and enjoy the fresh air and historic surroundings. Every single visit helps support the National Trust's work as a charity looking after special places forever, for everyone. Here's our pick of some of the best outdoor performances this summer. Travelling players The HandleBards – who describes their performances as 'charmingly chaotic bicycle-powered Shakespeare' – present fast-paced versions of two of Shakespeare's best-loved plays. 'As You Like It' is one of Shakespeare's great comedies, but what's it all about? Well – Rosalind and Orlando have been forced into exile in the Forest of Arden. As lovers, they become entangled in a bizarre game of lust, love and mistaken identity. In usual HandleBards style, expect riotous amounts of energy, a fair old whack of chaos, and a great deal of laughter. Four young lovers find themselves enveloped in a magical forest full of sprites, where a feuding Fairy King and Queen are at war. A group of amateur actors share the same forest. They're rehearsing for a play. Fairies and humans collide. Hilarity ensues. Join Handelbards' male troupe for an evening of lively theatre and mischievous fairy pranks. Join Ratty and friends as they embark on an adventure to save Toad Hall from the mischievous weasels. This family-friendly production by Immersion Theatre is the perfect way to spend a sunny summer's afternoon. Bring along a picnic to enjoy on the lawn before the performance. After last year's success, Norfolk's biggest dance party of the summer is back, full of iconic Ibiza anthems. Classic Ibiza features a spectacular laser show that will accompany DJ Goldierocks and the gorgeous Urban Soul Orchestra to deliver an unforgettable night under the stars. Bring a picnic and settle in as the sun goes down to watch classic film comedy 'Some Like It Hot', amid the beautiful setting of Mottistone's Mediterranean-style garden. After witnessing a Mafia murder, saxophone player Joe (Tony Curtis) and his friend Jerry (Jack Lemmon), must escape Chicago by disguising themselves as women and joining an all-female Jazz band fronted by Sugar Kane (Marilyn Monroe) – with hilarious consequences. 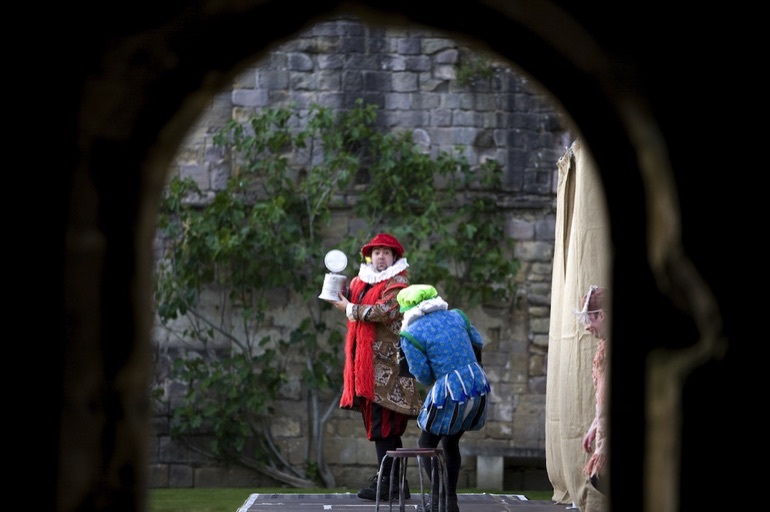 Visit Lacock this summer and spend an evening with Illyria Theatre Company as they bring to life Hans Christian Anderson's classic story 'The Emperor's New Clothes' – one of the most famous cautionary tales ever told. A fast and funny family show for all ages. Just imagine: the sound of corks popping against the humming of the bees in the lavender, as you open your picnic hamper and the band starts playing. Sound good? Then pay a visit to Paycockes for an evening of jazz set amid the beautifully scented Arts and Crafts garden. Bring a picnic and your blanket to watch a classic movie under the stars in front of the lake. Sing along to the fabulous soundtrack of 'Dirty Dancing', or take yourself back to the medieval era with 'Robin Hood Prince of Thieves'. 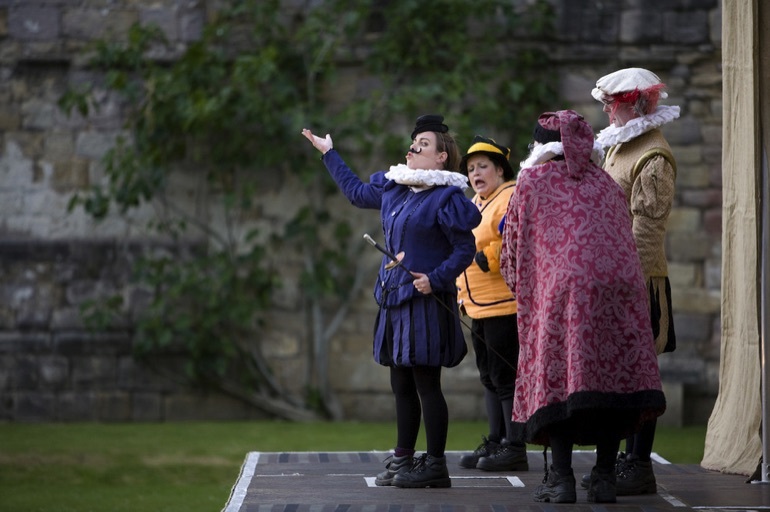 The Lord Chamberlain's Men invite you to join them this summer for Shakespeare's most hilarious farce 'The Comedy of Errors'. 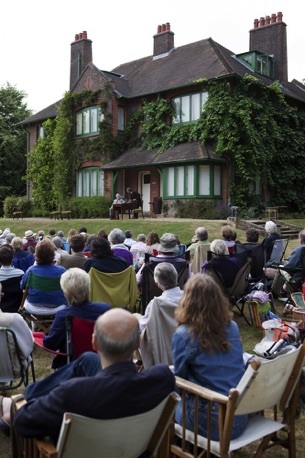 Bring a picnic and settle down on the lawn at Dudmaston to enjoy an evening of entertainment as the sun goes down. Performed by an all-male cast with Elizabethan costumes, music and dance. Gates open at 6.30pm for a 7.30pm start. Join Phileas Fogg and his loyal valet as they race around the globe, in a performance by local society Wilmslow Green Room in the garden at Quarry Bank. Price: From £16 adult, £10 child. 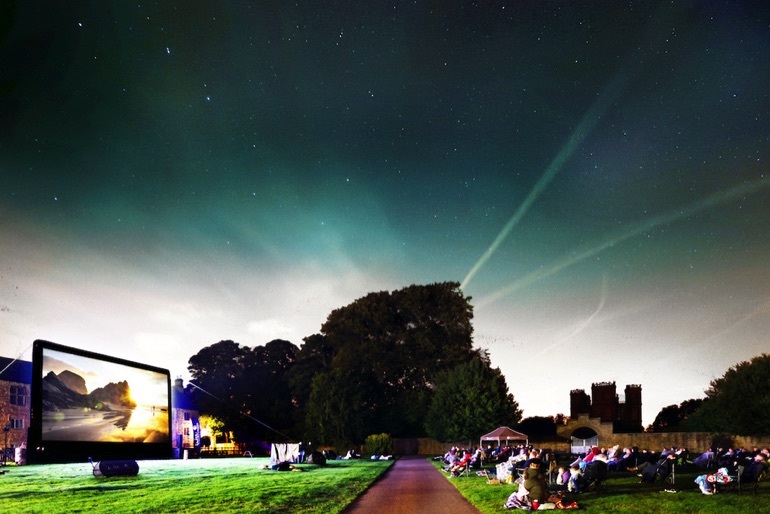 Pack a picnic and settle down under the stars for an open air film in Nostell's beautiful grounds. Travel 'Back to the Future' on Friday or have the time of your life with 'Dirty Dancing' on Saturday. Unwind in the cosy Sticklebarn pub after a busy day on the fells. On Friday nights you can enjoy live music while tucking in to nachos beside the outdoor fires. Kick back, relax and share stories of your day with fellow adventurers. For the past 30 years the National Trust has cared for this 2,000 acre demesne. Help them celebrate with a rocking evening of 'folkabilly' tunes by the tranquil shores of Lough Erne in Crom. Bring a rug and a picnic and enjoy a glass of wine on arrival - a sensational summer's evening awaits. On the last Sunday of the month from June until September, visit this majestic family home for an afternoon of music in stunning surroundings. Gather your friends and family, bring a picnic and settle down on the lawn to enjoy jazz in the gardens.